The Milton plan is sure to check off all of your boxes! Incentives available to make it JUST right! This fantastic open floor plan, two story home is all about function and style! Youre greeted by a large, covered, front porch. Stepping into the foyer you will notice the gleaming 5 hardwood floors and chair rail with picture frame molding. The spacious formal dining room is right off of the foyer. The great room is the perfect size for entertaining and a gorgeous gas fireplace is the focal point of the room. The kitchen features designer staggered cabinetry, stainless appliances and granite counters! The main level also features elegant two piece crown molding and 5 1/4 baseboards! The second floor is just as charming. The owners suite features a trey ceiling, sitting area, and a gorgeous bath with separate walk-in shower and soaking tub. 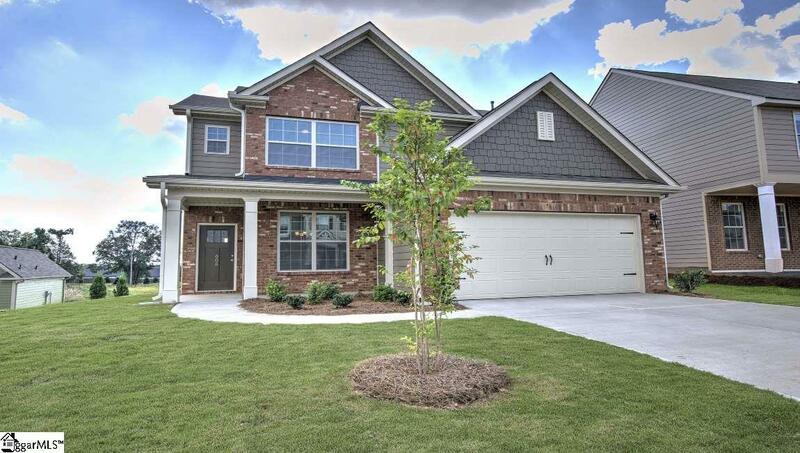 The Longleaf Community is BRAND NEW and will feature sidewalk lined streets and a gorgeous community pool! All within minutes of Fairview Rd and Downtown Greenville!